The Polaroid Retro Bluetooth speaker is the perfect combination of ‘old school’ style with all the ‘new school’ trimmings. Connect via Bluetooth, aux cable or to FM Radio and enjoy all your favourite tunes. 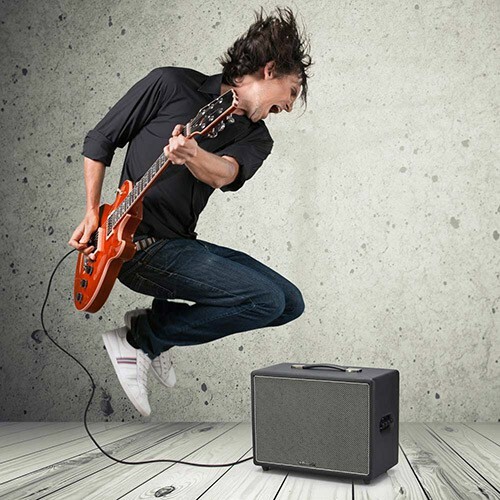 For those who dabble with guitars, this is the ultimate compact speaker.